Foreign minister says current problems are temporary and subjective. Russia deems the goal of raising the trade turnover with China to $200 billion to be feasible despite the economic circumstances, Russian Foreign Minister Sergei Lavrov said on May 31. "The achievement of the task of raising the bilateral trade turnover to $200 billion by 2020, which has been set by the national leaders, is on the agenda," he said at a Russian-Chinese conference of the Russian International Affairs Council (RIAC) in Moscow. 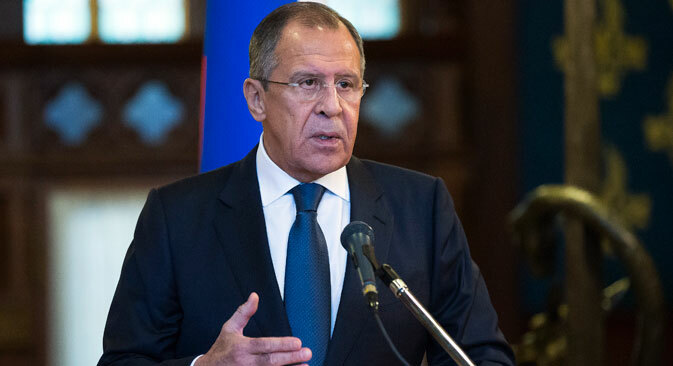 "Some may say that this goal is too big, given the circumstances, but I am sure that this goal remains on the agenda and it is quite feasible, irrespective of any short-term, subjective problems," Lavrov said.